This pelican is a work-in progress for one of my clients. 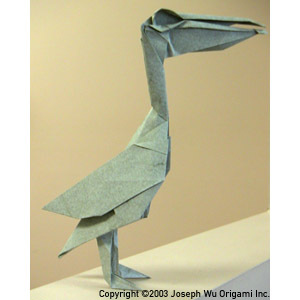 Folded from two square pieces of paper.The head and neck is folded from a sheet that is 3/4 the length of the sheet for the body. It is partly based on this photograph.